Come November, P'unk Burger (1823 East Passyunk Ave.) will offer South Philly a modern-day twist on a classic Passyunk diner. The BYO will feature all-natural burgers (with gluten-free buns), fries and shakes. 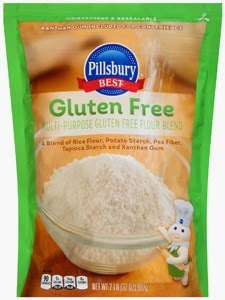 The Pillsbury Best line of flours from General Mills now includes a multi-purpose gluten-free flour blend, made with rice flour, potato starch, pea fiber, tapioca starch and xanthan gum. Wal-Mart is among the stores carrying this product. Reader Karen Z. let me know that Trader Joe's just came out with a gluten-free pumpkin pancake mix and will have stuffing in time for Thanksgiving. 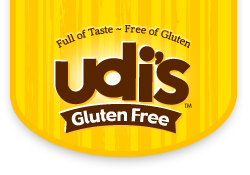 Udi's Gluten Free is launching four new varieties of both breakfast and lunch burritos along with Italian-inspired skillet meals for two. The breakfast burritos include Egg, Sausage & Cheddar, Uncured Bacon & Cheddar, Chicken Apple Sausage and Egg White, Southwest Veggies & Cheese. The lunch burritos options include Bean & Green Chile, Chicken, Spicy Southwest Veggie and Steak. The burritos retail for $3.99 each. The Skillet Meals varieties ($11.99 suggested retail) are Chicken Parmesan, Ziti & Meatballs, Chicken Florentine and Chicken Alfredo. Dole has introduced an all-gluten-free Garden Soup line in five varieties: Carrot Ginger, Roasted Garlic Tomato Basil, Southwestern Black Bean & Corn, Sweet Corn and Tomato Vegetable. The soups do not contain MSG and are made with non-GMO ingredients. You can download a coupon good for $1 off one carton. The State College Celiac Support Group is once again hosting the Central PA Gluten-Free Expo. This year, it will take place on Sunday, Nov. 9 at the Penn Stater Conference Center in State College, Pennsylvania. Vendors include Wegmans, Tonya's Gluten-Free Kitchen, Goldbaum's and Against the Grain Gourmet. Dr. Alessio Fasano of the Center for Celiac Research in Boston will be the headlining speaker. Tickets are $5 in advance and $10 at the door; children 16 and under are free.